Now before you go and get all fired up wondering why I’d post such an inappropriate video, keep in mind that this was published on a site called ‘The Onion‘. Here’s what it’s about, according to Wikipedia! What’s quite hilarious is the comment thread on YouTube, where it’s apparent that some people are convinced it’s a genuine video. The Onion site does say that their content is not appropriate for people under the age of 18, but I’ve been thinking about how you could use this as a discussion starter with students to discuss their digital lives. You could follow it up with a discussion about YouTube comments and see what they make of them. Can they identify satire? When is it apparent that someone has been duped? What is a comment like the following saying? Going by the comment section alone, you’d think you’d reached the Poe’s Law Event Horizon. It’s a warped plane of existence were parody and reality twist, churn and overlap. Sarcasm and sincerity become one, and the ignorant bear the same face as the knowing, and nothing is quite as it seems. Enter at your own risk. Commuting? Take a podcast with you for the ride. 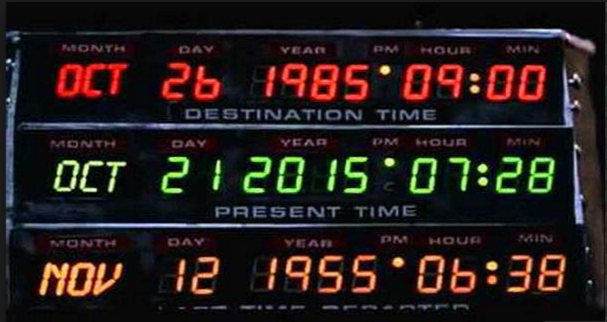 …this is now. Get up at the crack of dawn, get ready, then spend the next hour in the car making my way to work. I started with breakfast radio, switched channels over the course of a few days, then realised that the presenter’s tendency to drag a story out over a laborious 20 minutes really wasn’t how I wanted to spend my waking hours. 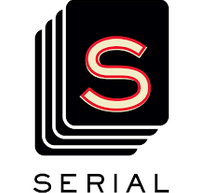 Serial, a podcast from the creators of This American Life and hosted by Sarah Koenig, got me hooked last year. It was a twelve episode podcast recounting the murder of Hae Min Lee, a high school senior whose body was found in a city park in Maryland. Her ex boyfriend, Adnan Syed, was arrested and found guilty of her murder and has been incarcerated since 1999. Serial reinvestigated the evidence and sparked massive Internet interest in the case. I binge listened to the first five episodes, then waited with baited breath for the weekly updates that would be posted around 10.00pm on a Thursday night in Australia. I’d tune in straight away, ear buds at the ready, waiting to see what new evidence had been located that made Adnan’s incarceration seem questionable. 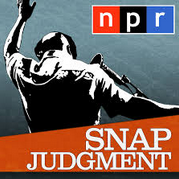 No spoilers here – if you haven’t listened, I suggest you head to the Serial site and tune in. So, I’ve been hitting the podcasts pretty hard. When you commute an hour each way, you can power through a lot of content. Here’s what I’ve been listening to and what I’d recommend you give a try. They’re right – the hidden gems they unveil do help you make connections to your own life. I’d find myself nodding my head as I drove along, making connections. Cannot wait for the next season to start! According to ‘my podcasts’, I have only two episodes to listen to until a new one is released. Tragic! And yes, I am subscribed. This is a podcast I can’t miss. How did I find ‘On Being’? 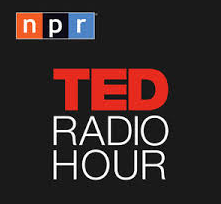 Why, by listening to the TED radio hour and hanging in there for the last couple of minutes where they recommend other podcasts. And I’m very glad I found it. Here’s what it’s about. On Being opens up the animating questions at the center of human life: What does it mean to be human, and how do we want to live? We explore these questions in their richness and complexity in 21st-century lives and endeavors. We pursue wisdom and moral imagination as much as knowledge; we esteem nuance and poetry as much as fact. 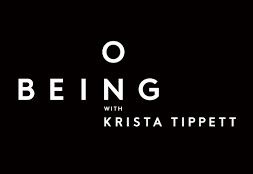 Krista Tippett’s interview with Brene Brown is well worth a listen, especially if you’ve read any of her books about vulnerability. On Being will keep me going when the TED radio hour dries up! 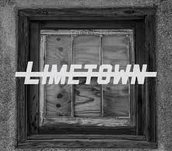 Limetown is a fictional podcast from Two-Up Productions. Limetown follows journalist Lia Haddock as she investigates the infamous disappearance of a doomed research facility. It’s a seven part podcast, with only the first two currently available. It reminds me of Orson Welle’s ‘War of the Worlds’ radio broadcast from the 1930’s. 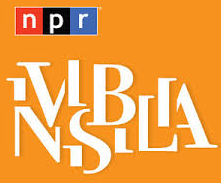 (interestingly, a recent Telegraph article claimed the mass panic that surrounded this was a myth) The production quality is reminiscent of techniques used in Serial, and listening to it has made me think of how the creation of a podcast like this would make for a wonderful English class project. Scripting, characterisation, learning how to utilise multimedia effectively – doing something like this would tick a lot of boxes, and I’d bet students would love it too! My favourite episode thus far – Legendary. The story of the Yellowstone wolf known as O6 is going to stay with me for a long time. Listen, and think of how you might weave this into the fabric of a class you teach. Students need opportunities to hear great storytelling like this. As Molly Meldrum used to say, ‘Do yourself a favour’ and tune into a podcast. Doing so has enriched my world. It just might do the same for you.